*Terms and conditions apply. You must have made a booking in the last 24 months with Premier Travel and your friend must make a booking worth £1200 or more, your friend must be a new client of the Premier Travel group. 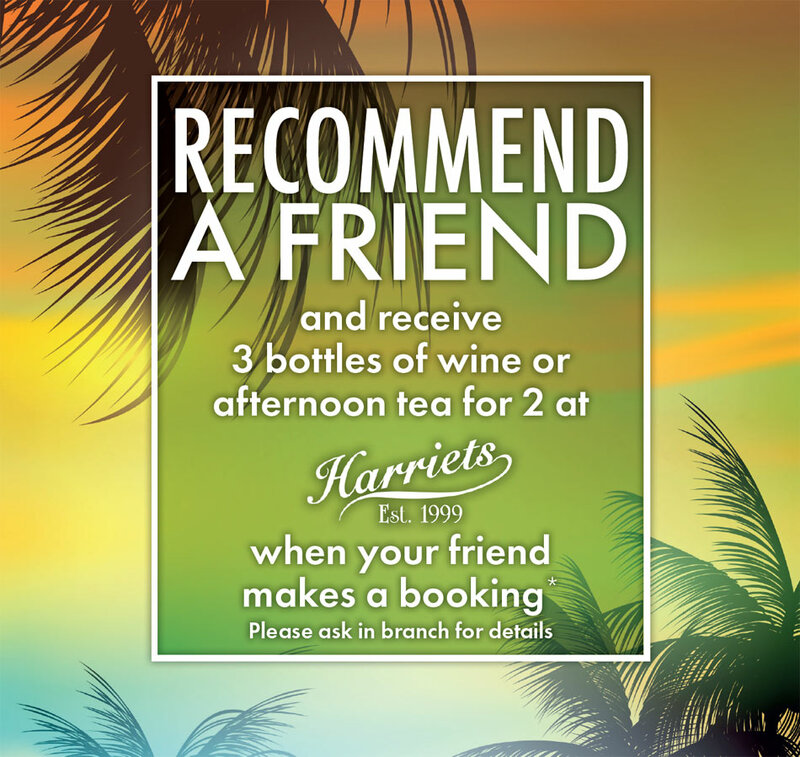 You will each receive 3 bottles of wine or a voucher for afternoon tea for two at Harriets when your friend’s booking has been confirmed. Premier Travel reserve the right to withdraw the recommend a friend offer at any time. Not combinable with any other offer. Valid until 31 Dec 18.